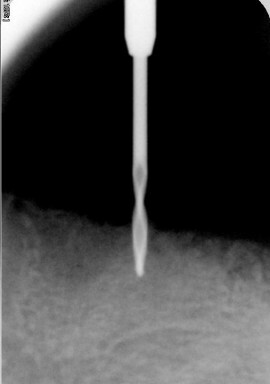 These types of implants are a solid titanium alloy structure of diameters ranging from 1.8mm to 2.4mm and of various lengths from 10mm to 18mm. 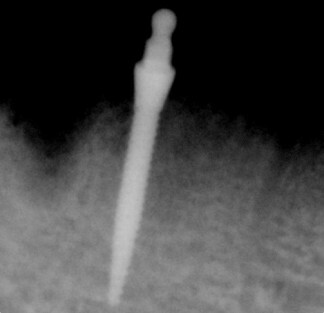 They are integrated into the bone by slowly screwing the threaded implant into the bone. The majority of these implants used to hold lower full dentures. 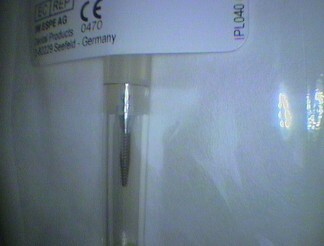 This type of implant has a ball head with a neck on the top of the implant for an O-ring and metal housing to clip on top of it. This housing is then embedded into a denture to hold it to the implant. The best area for placement is in the front region of the lower jaw, where the lower front teeth would have been. To achieve the most hold of the denture, four mini implants are usually placed. The bone in this region tends to be very dense and has no structures to avoid such as nerve canals and major blood vessels. Proper assessment still needs to be done to ensure there is adequate bone and there are no medical issues to consider. They are mainly used in holding dentures, but have been used in orthodontics to help with moving back teeth. 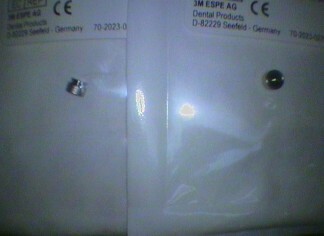 In some situations, where there is limited space, crowns have been placed on these types of implants. The best location for the implant is determined by considering the position of the denture over the bone and shape of this bone. The denture being considered could be new denture to be made over these implants or adapting an existing denture to fit the mini implant attachments within it. The placement of mini implants is a minimally invasive procedure that usually only needs local anaesthetic. Torque Wrench the implant is pressed and turned to the desired depth with the right amount of ball abutment head and neck protruding through the gum. The torque wrench is used to torque the implant, usually to 35Nm. This means no need for stitches or further surgical procedures. If four implants are placed at once then the metal housing can placed immediately and adhered to an existing denture. This is achieved by removing enough material in the denture to fit the housing. Bonding material is used to hold the housing into the denture. This means the denture must be thick enough to allow this to be done. Once this has been completed the implants can usually be used straight away to hold the denture firmly. However, this set up means the denture is still removable and is not fixed to the implants. The implants heads need to clean daily to prevent bacteria build up on the implant. A toothbrush is usually all that is needed to clean the ball and the gum at the neck of the attachment on top of the implant. Otherwise the gums will become inflamed and eventually the bone around the implant is gradually lost. The implant will fail and be rejected by the body and come out. The O-ring in the base of the metal housing in the denture will need to be replaced from time to time when the grip becomes less tight.